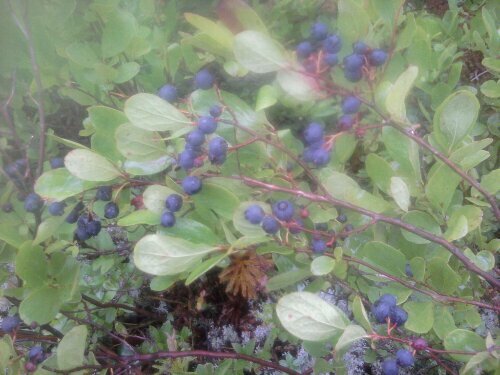 Blueberries at Rainbow Ledge are plentiful and yummy. 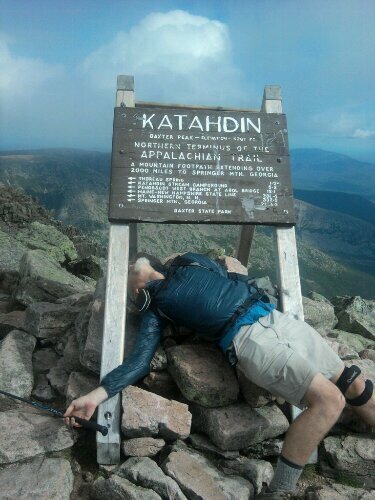 Huckleberries, too. 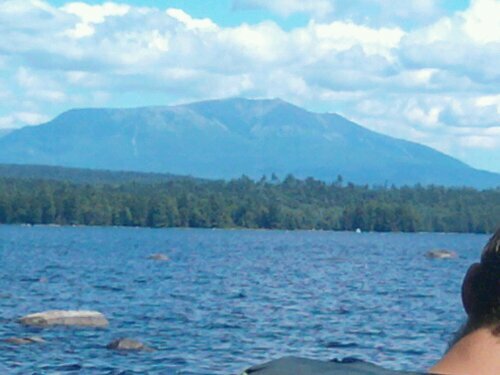 Mount Katahdin is getting closer. 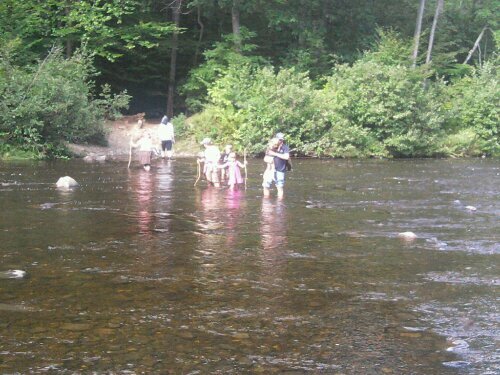 Day hikers with children ford a rIver in the 100 Mile Wilderness. Perhaps we are not so remote and isolated as we imagine.